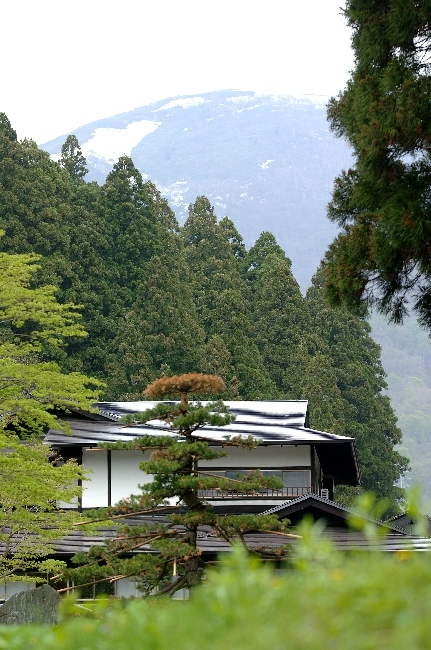 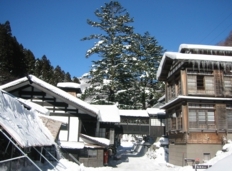 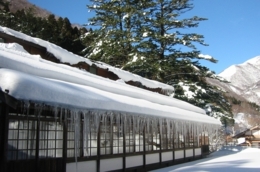 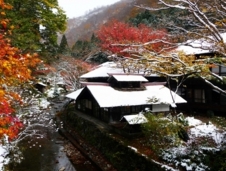 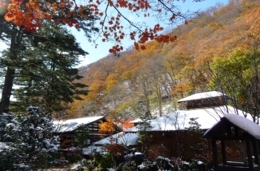 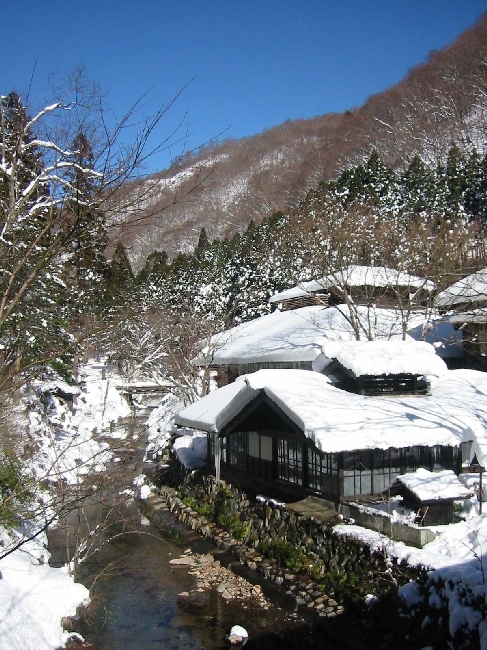 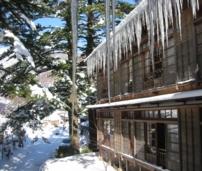 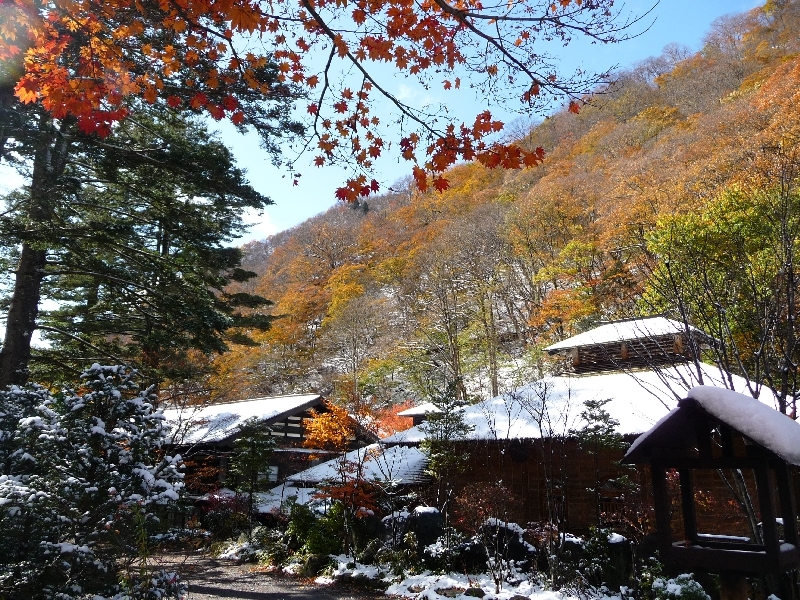 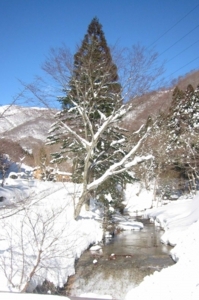 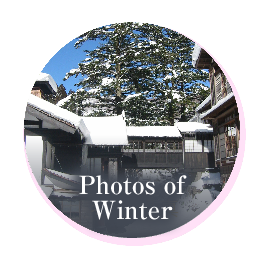 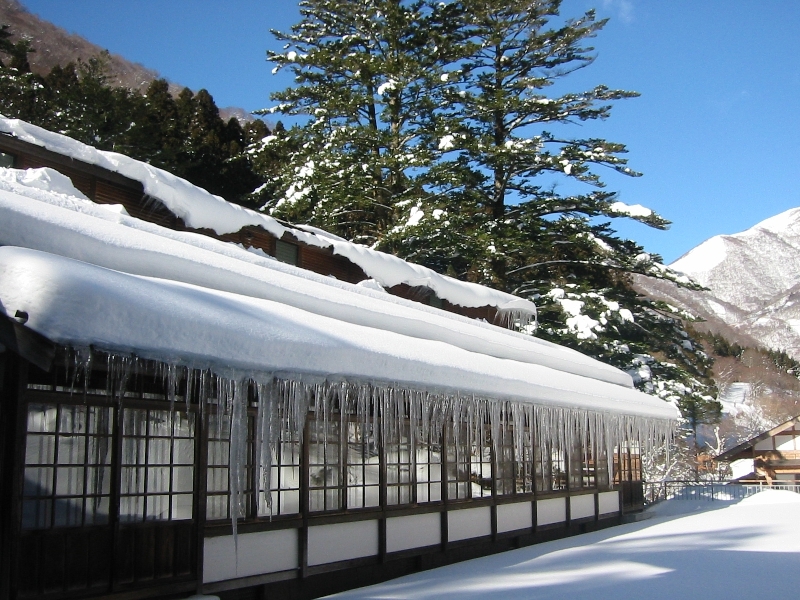 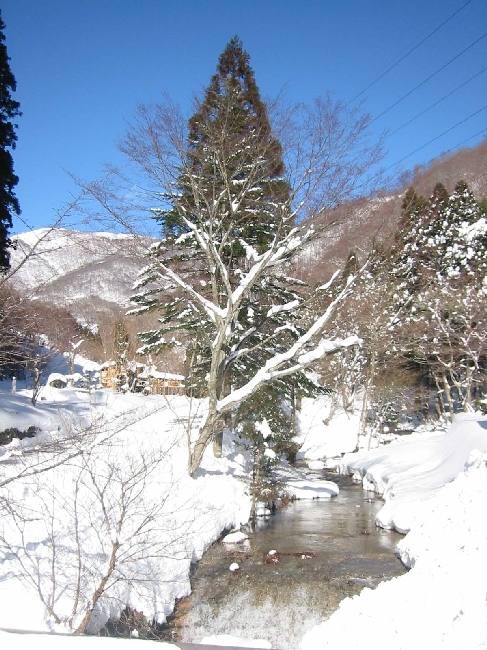 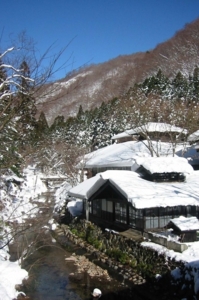 Spring at Hoshi Onsen begins with the lingering snow on nearby Mt. 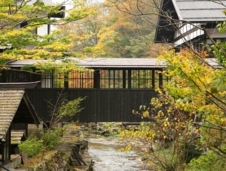 Mikuni. 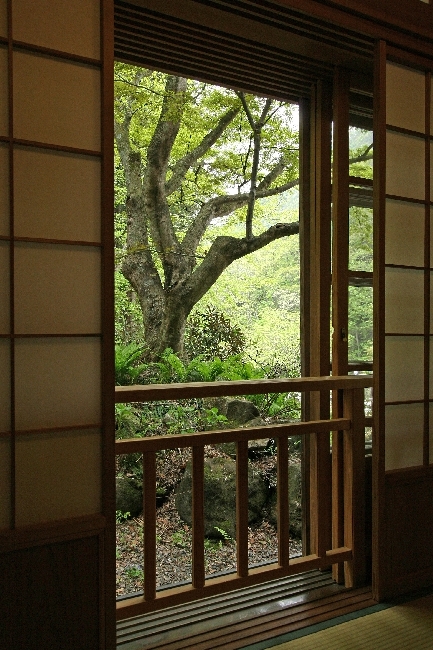 Birds start twittering in the trees and the season of fresh green finally comes. 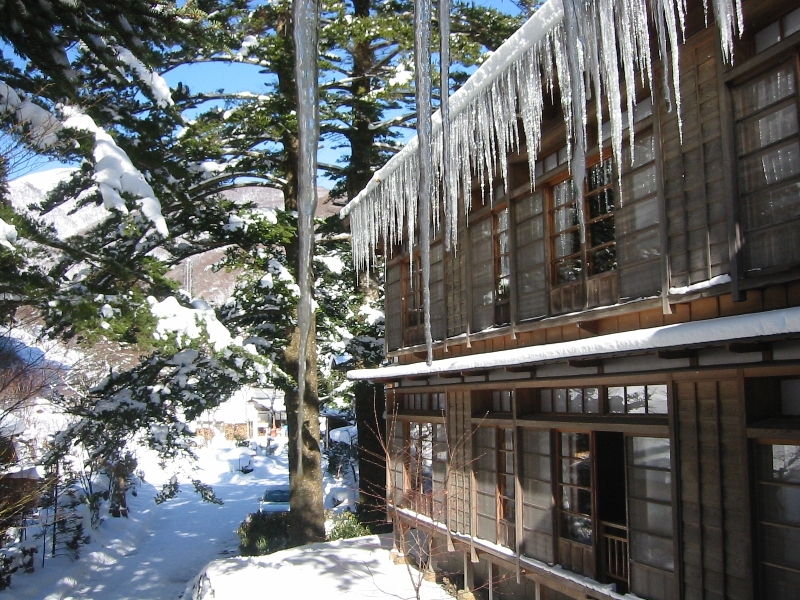 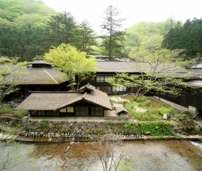 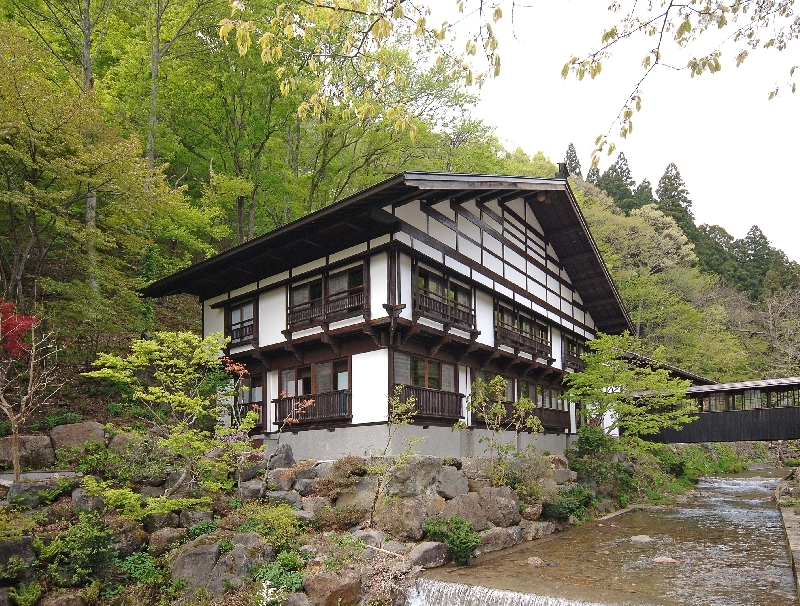 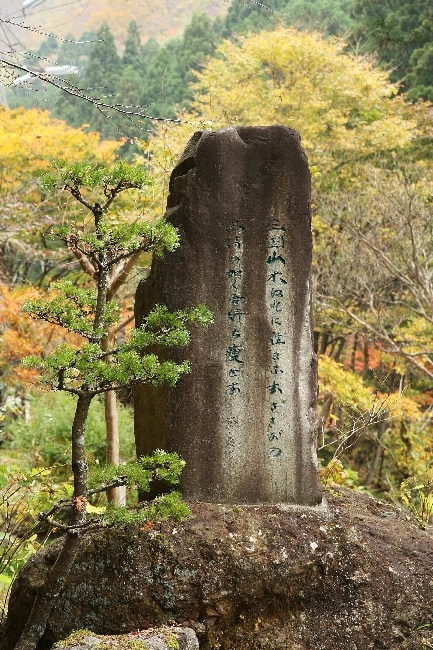 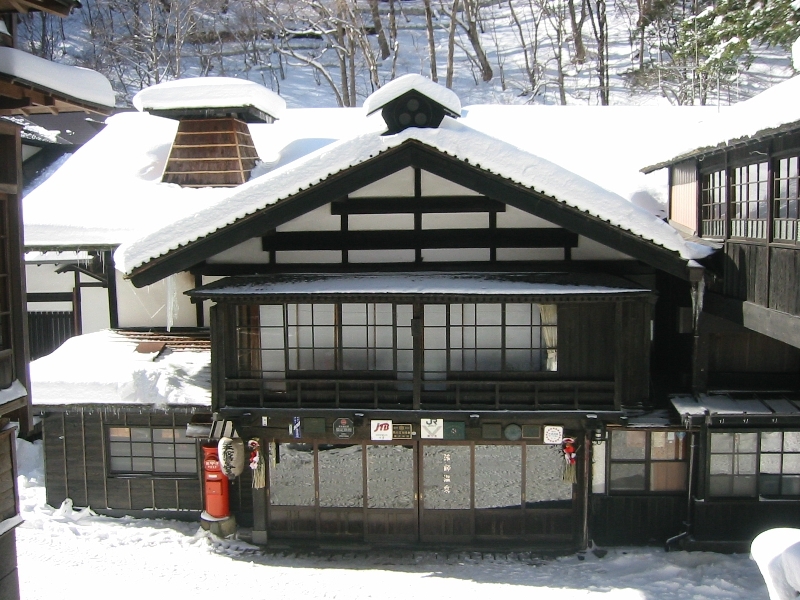 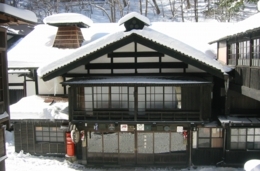 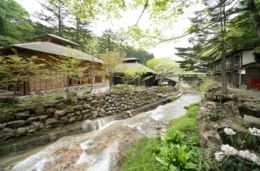 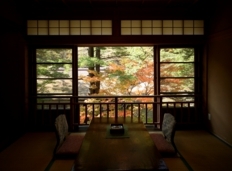 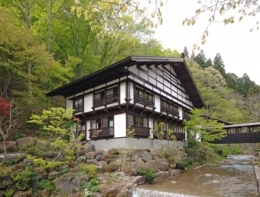 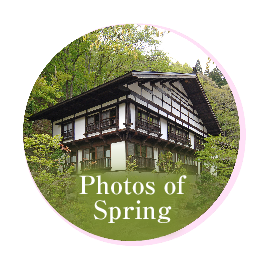 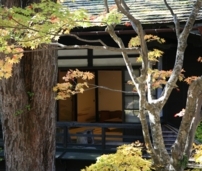 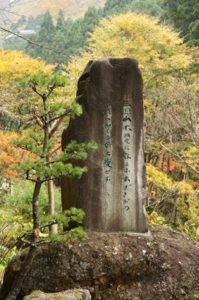 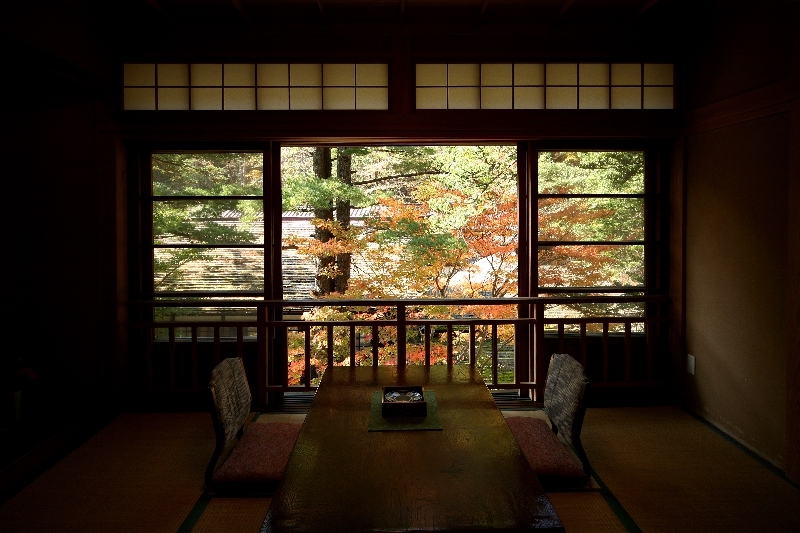 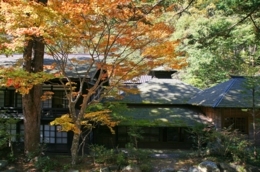 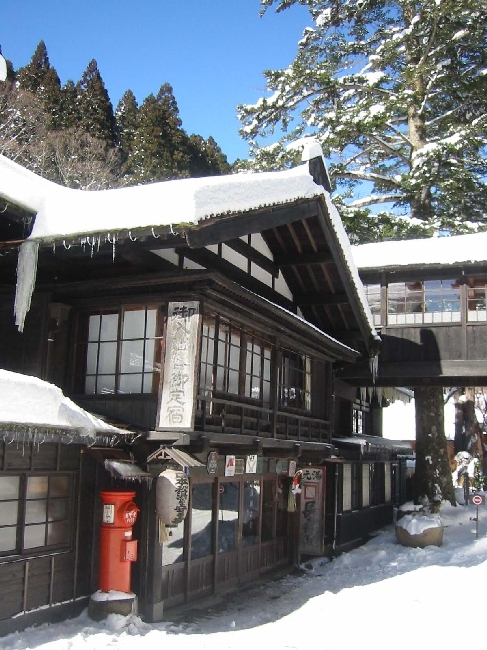 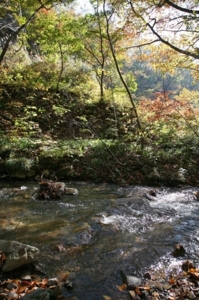 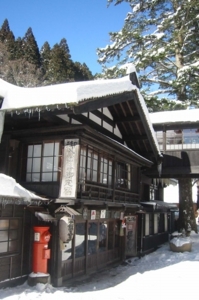 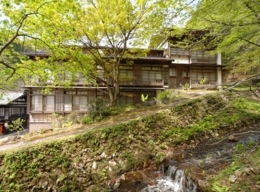 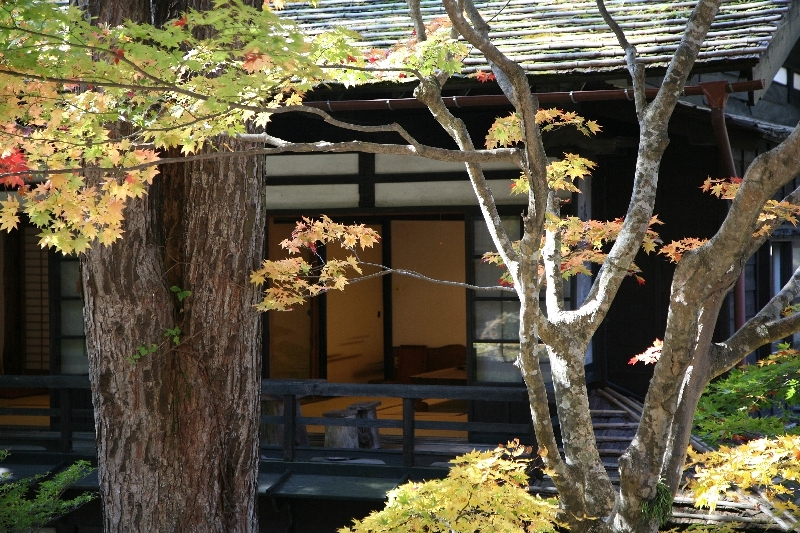 Spring at Hoshi Onsen is good for book reading. 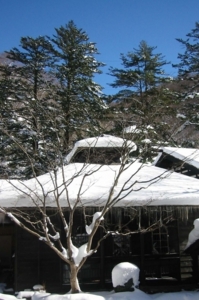 Why not pick up a little thick book and read it through till the end? 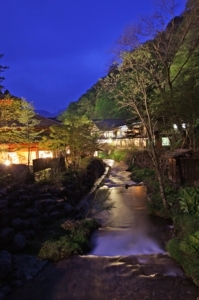 Outside wearing a yukata (kimono bathrobe) in the slightly chilly air. 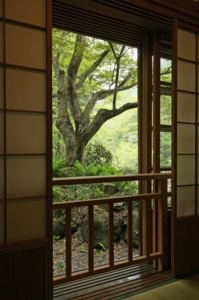 This may well be the Hoshi style. 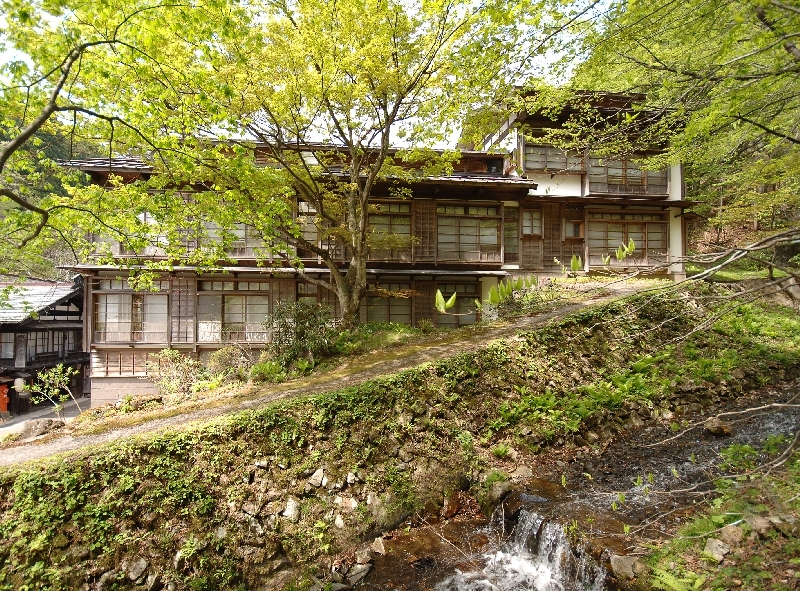 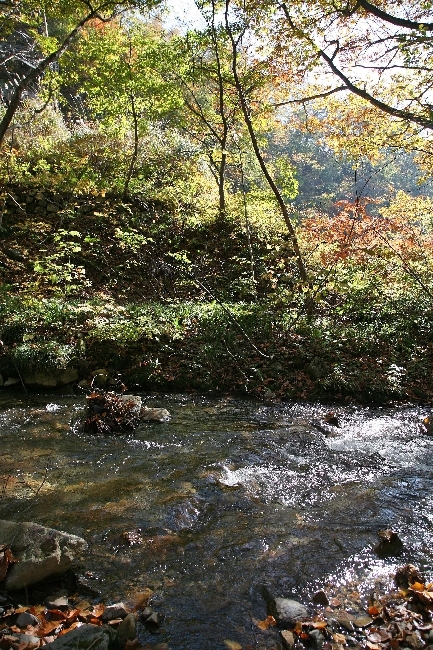 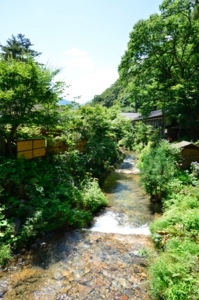 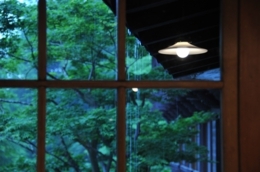 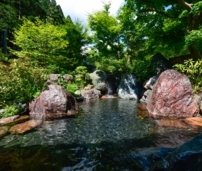 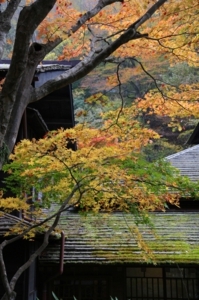 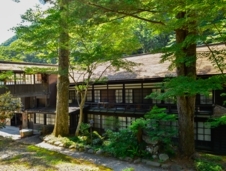 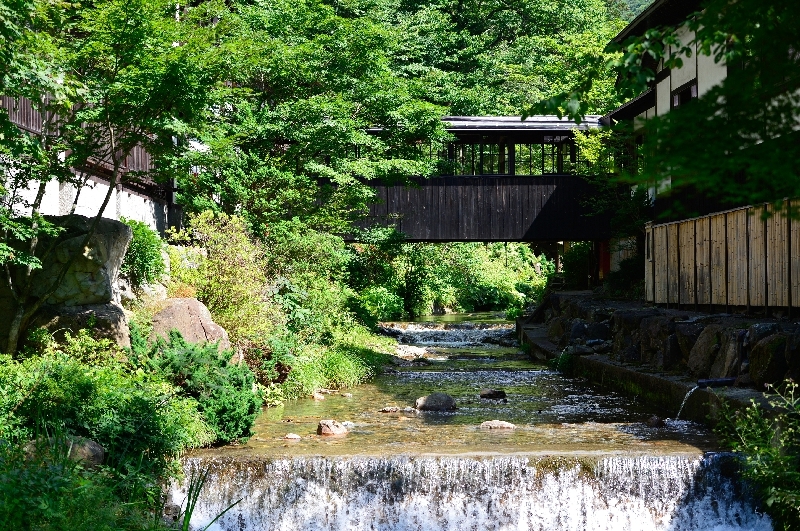 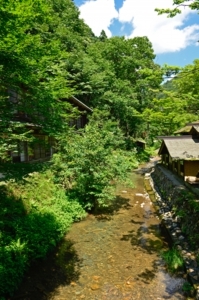 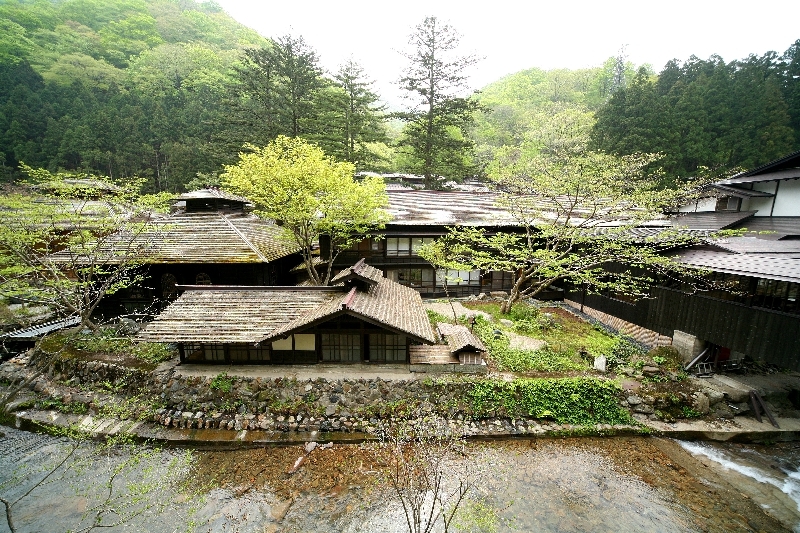 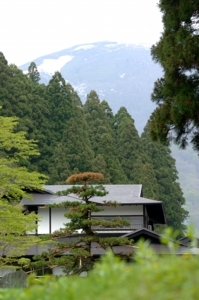 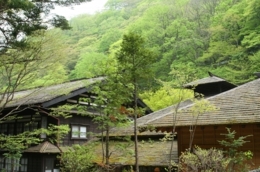 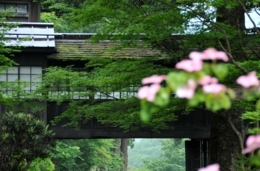 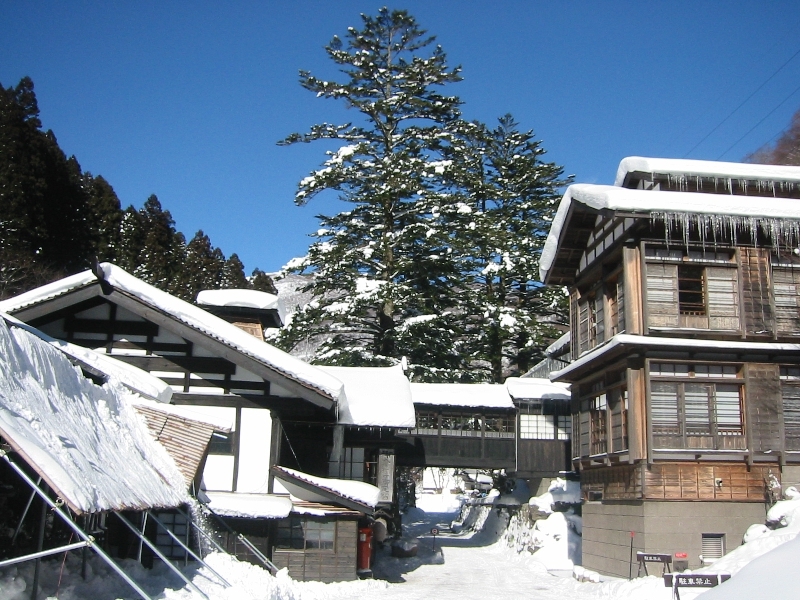 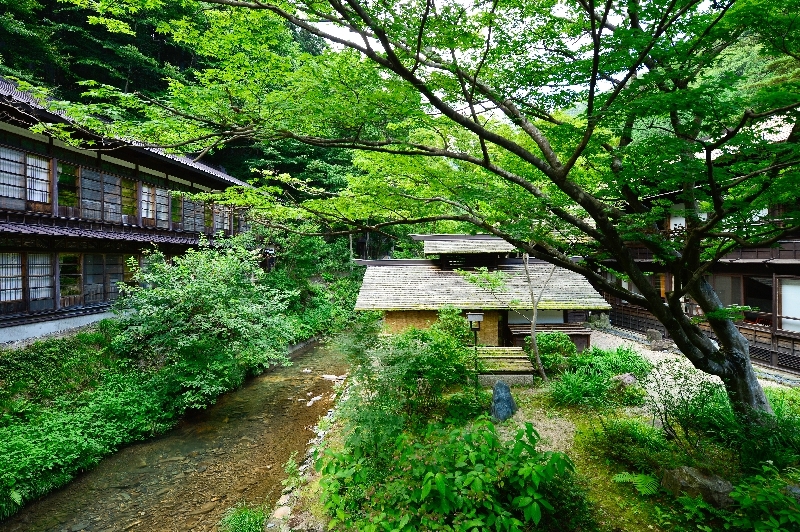 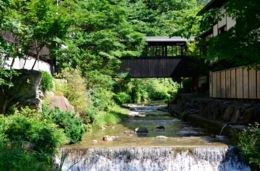 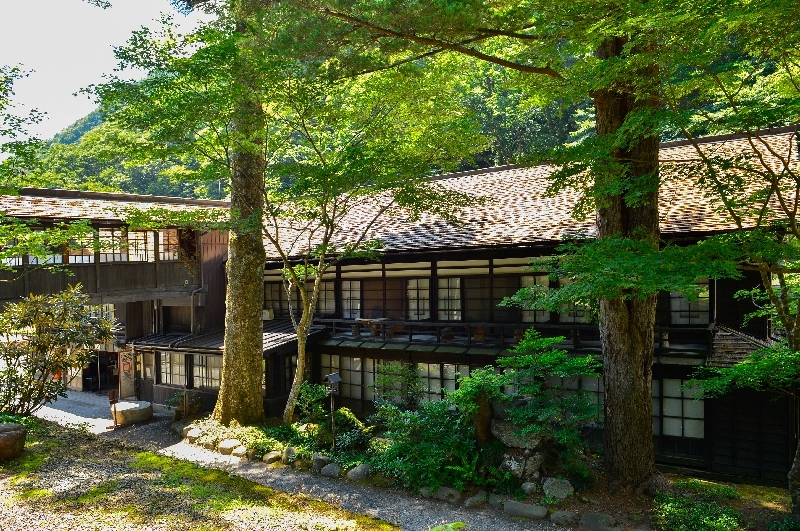 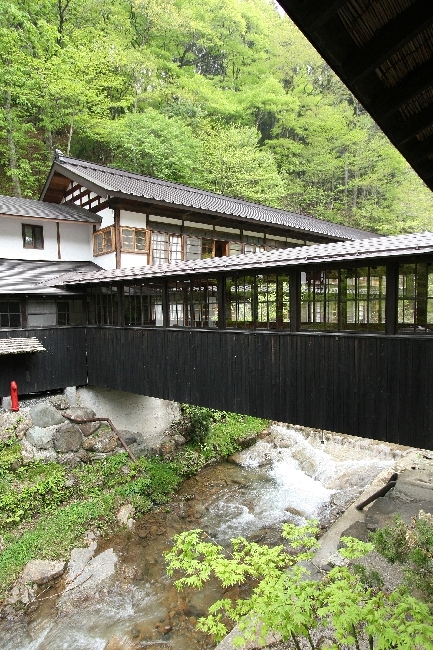 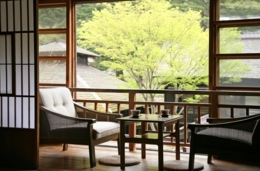 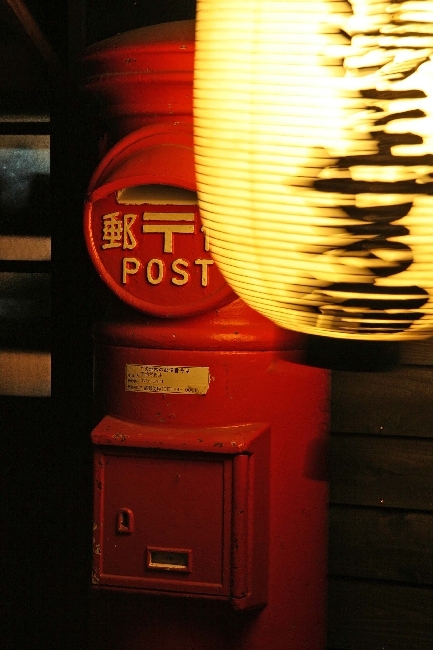 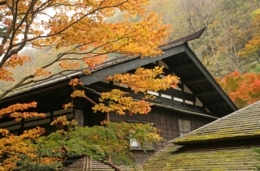 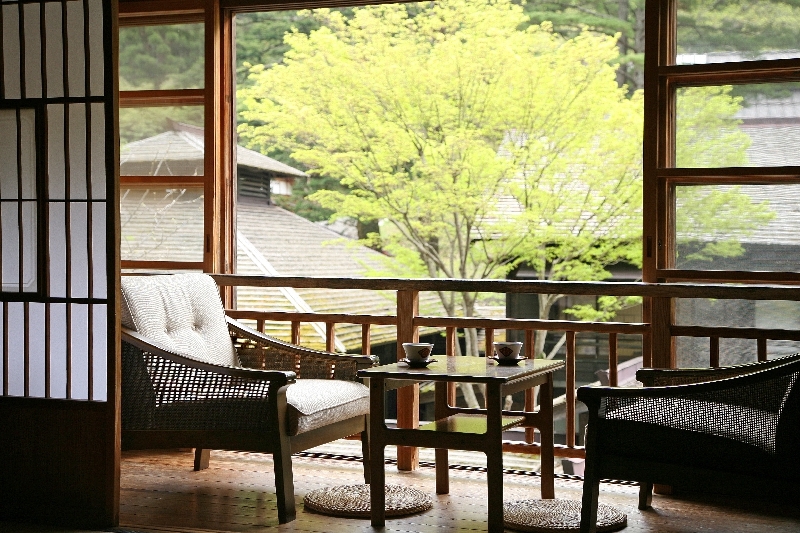 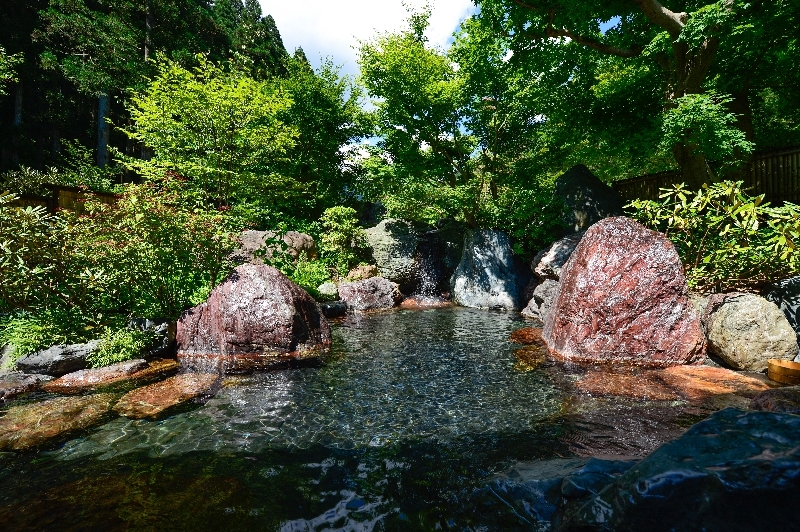 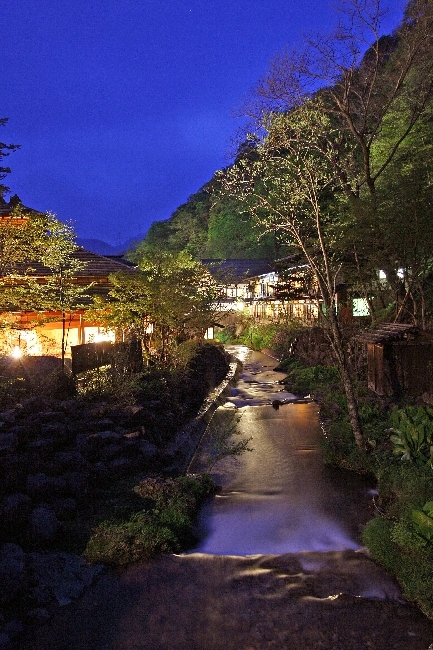 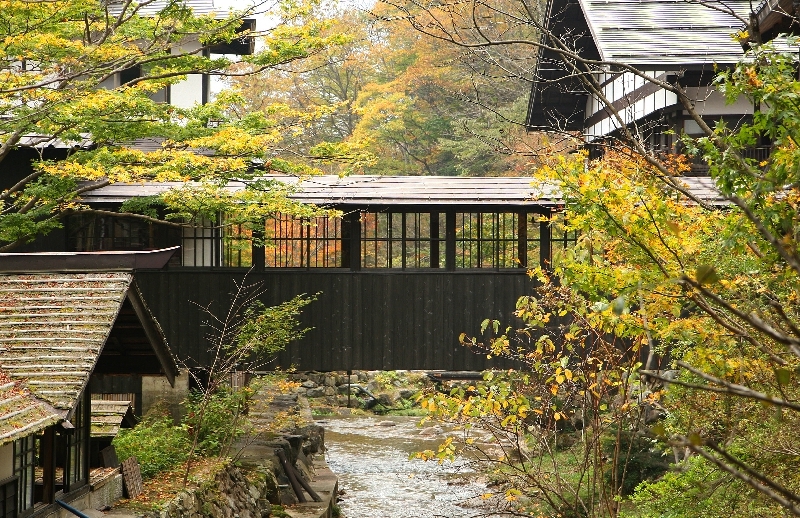 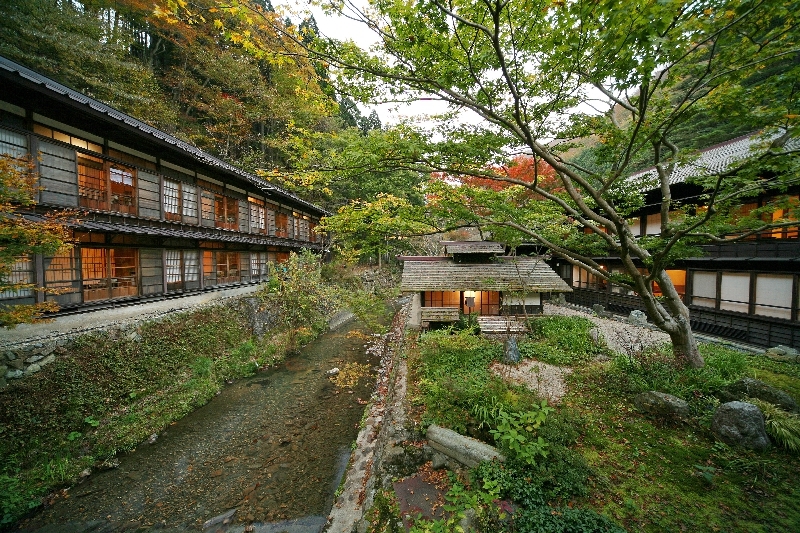 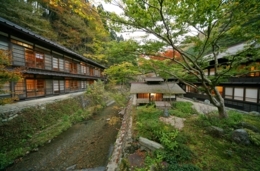 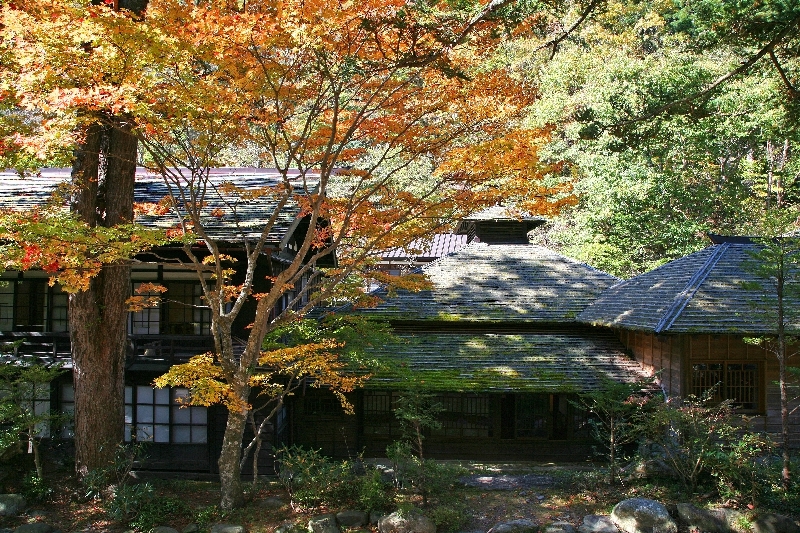 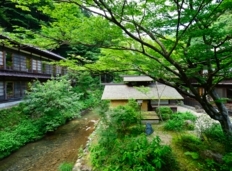 Hoshi Onsen is the best place to escape the summer heat. 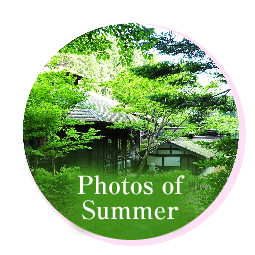 The temperature rarely exceeds 30 degrees Celsius even in the middle of summer. 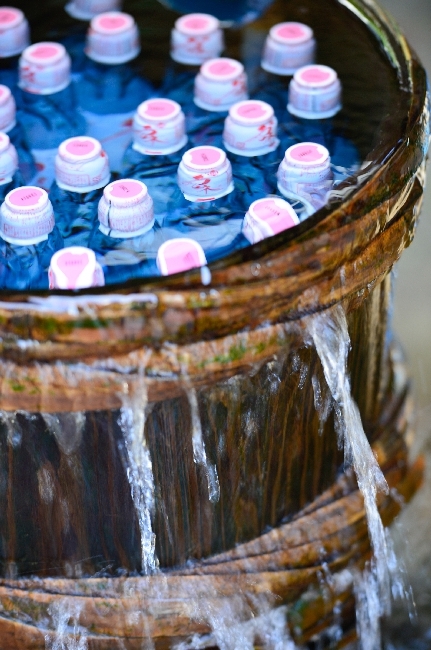 We don’t even need an air-conditioner. 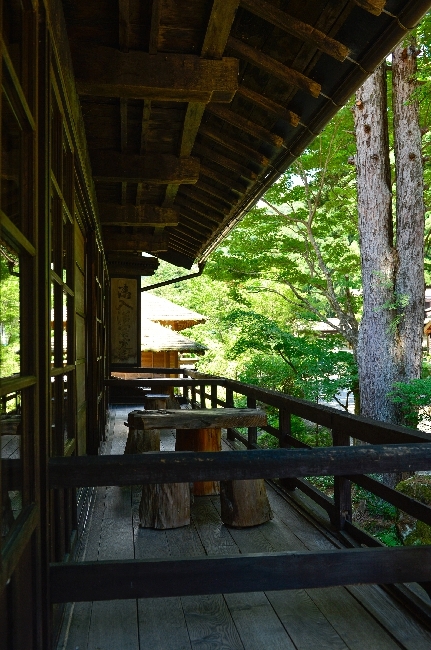 The scent of refreshing soda and water fill the air in front of the entrance. Why not take a rest on the bench at the foot of the mountain? 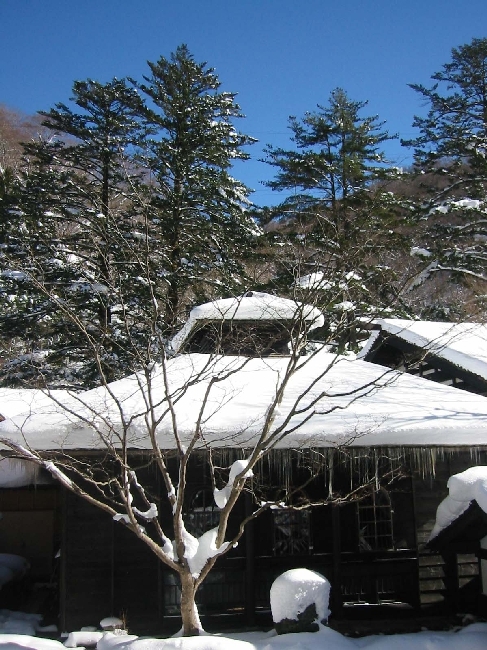 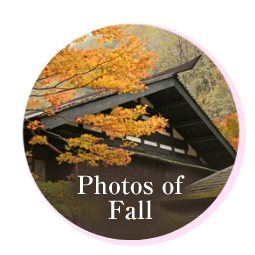 Moss-covered roofs: These may be the secret to the coolness of Chojukan. 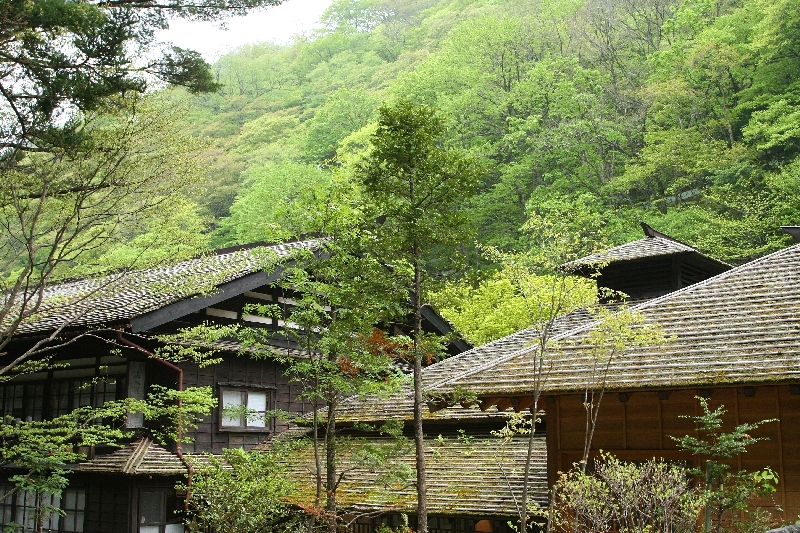 The roofs are high but in the shade of trees and absorb the sunlight. 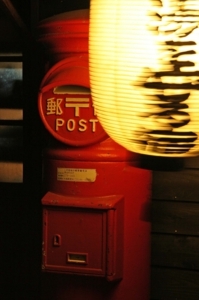 This may well be Hoshi’s treasure.